Are you running your own marketing team or any type of team? How often do you reflect on how you lead them? Have you learned through experience or did you take courses on management? There are so many leadership models – transformational, transactional, authoritarian or democratic for example. Then there are many natural and effective leaders who have never even heard of such terms. The books are written about them, not necessarily read by them. Either way, if you are a leader you will naturally want your team to be as productive and successful as possible and that will mean better service for your clients and a more profitable business for you that is working at optimum efficiency. This article looks at how to go about achieving that objective and for that purpose, I am primarily interested in two types of leadership here – transactional and transformational. Transactional leadership? What is it? Transactional leadership places an emphasis on the management processes of controlling, organising and short-term planning of projects. 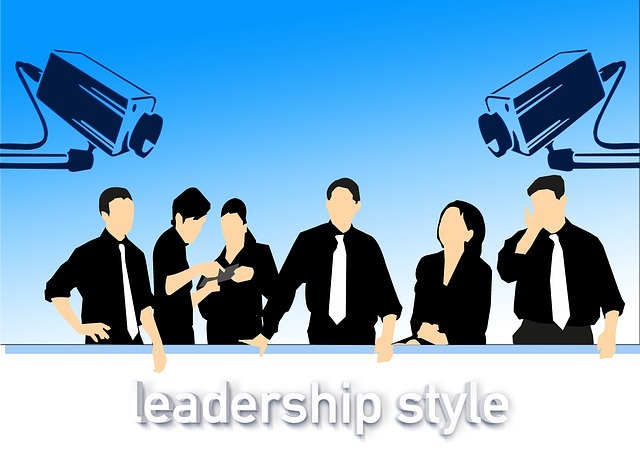 Ultimately, it is a “telling” style of leadership and the leader’s power comes from their formal authority and responsibility within the organisation. To sum up the transactional leadership, there is arguably too much emphasis on following rules and procedures, focusing on short-term goals and the members of the team are pushed and steered to perform better rather than inspired and encouraged to be more creative. How does the Transformational Leadership approach work? The key to transformational leadership is empowerment and inspiration. The leader must have the vision, the enthusiasm and the passion to want to achieve the goal. They aim to effectively empower their followers to join them in their quest. Sometimes the leader knows exactly where they are going and how to get there while other times they are sharing a dream and inviting the team to help them figure out the way. Transformational leaders are often big picture thinkers with a creative streak. They see things in a different way and are able to inject their passion and enthusiasm into their team members. They achieve this through a range of natural abilities – clear communication, leading by example and being highly driven themselves. They have to be credible; their team follow them because they believe in them and they believe in their vision. Personal integrity is vital as if there is any sense at all that the leader does not believe in or follow their own message they will lose their team. The thing about transformational leadership is that it puts a lot of faith in the team and their abilities. Unlike the laissez-faire approach that can be employed by transactional leaders, transformational leaders instil a very strong sense of direction into every member of the team. The process is literally transformational. The followers are inspired and motivated so their leadership drive comes from within. Transformational leaders encourage leadership. They nurture their team members. Their followers know where they are going. Transaction vs Transform – what works for you? As coach, I pride myself on my transformational leadership qualities. However, that is a completely different sphere than running a digital marketing agency. In the world of personal growth, what counts for me is that I change the mindset of my students and clients from one that is not working for them to one that will help them identify their true goals and to change their behavioural patterns so as to reach them. Transformation is the ideal tool. The coachee takes care of the details. In the world of digital marketing, a transformational approach certainly has benefits. It promotes the right environment for creative thinking, innovative approaches and novel solutions. When dealing with a team of professional digital marketers, the right company culture will promote learning and development, healthy ambition, creative bravery, and a strong desire to deliver the company’s own brand of excellence to the client. Team members will be inspired and empowered enough to lead projects and lead each other. That, however, is only half the story. Anybody involved in the project management of digital marketing projects will know that the devil is in the detail. Big picture ideas are fantastic however the project planning has to be meticulous and that is where the transactional approach comes in very handy. From a time management perspective alone, where clients are offered retainer agreements, their daily, weekly and monthly requirements need to be planned and balanced against the number of hours that they have booked. At the same time, there are only so many hours in a day and you have to manage your team’s hours very carefully as well to ensure they can work through all the company’s projects simultaneously and in harmony. Under scheduling means you are running inefficiently and over scheduling jeopardises projects and will ultimately lead to poor customer service. The tasks of a given project are often inter-dependent so, while juggling the time allocated to a client’s retainer with the availability of your team players, you also need to ensure that that the tasks are sequenced to run like clockwork so nobody’s work is being ‘blocked’ by an issue with another member’s work. Most people are coming to work to make money. That is a fact. We all have bills to pay but, of course, it is better to earn a living doing the things we love. Likewise, if you are running a digital marketing agency, it helps if you are passionate about digital marketing and excited about taking on new projects. At the same time, you have an obligation to ensure that the company is doing well, that it is profitable and productive, that clients’ needs are satisfied. Business is business. Creative people may be fantastic at coming up with ideas, fleshing out plans from small seeds into massive trees however they may not be particularly keen about logging time or administration generally. You may have a genius on board but if every idea they produce is taking three times longer than the project allows for then you need to either go back to the drawing board in terms of how you sell your services or you need your “Picasso” to tone things down a little and produce work within budget and on time. At the end of the day, you need to steer clear of going too far in either the transformational or transactional direction. They both offer benefits and threats. The transformational approach delivers excellent company culture, a creative hub and an empowered team but if you are not careful, the whole ship can run into rocks while the team chases an unattainable promised land. Alternatively, the transactional style will make sure that the company runs smoothly, that time can be monitored and controlled, that planning is meticulous but without the balance of a more transformational leader, you end up with an anally retentive culture where creativity is smothered and people only care about perks and power. How transformational or transactional should you be? That’s your call. How do you like your tea?